Many businesses jump into the content marketing world, but few get past one of the most basic yet important steps: figuring out what content to create. The natural answer is whatever type will bring more audience engagement, inspiring social shares and other useful sources of growth. 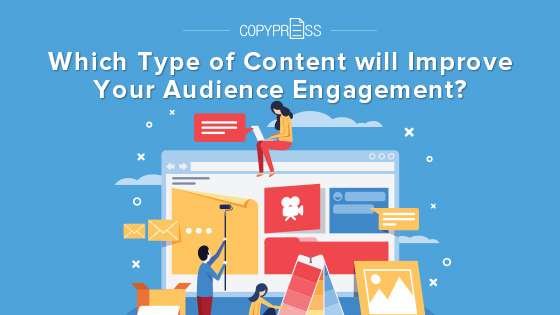 Take a look below at the types of content most likely to increase audience engagement and the advantages and disadvantages of each type. 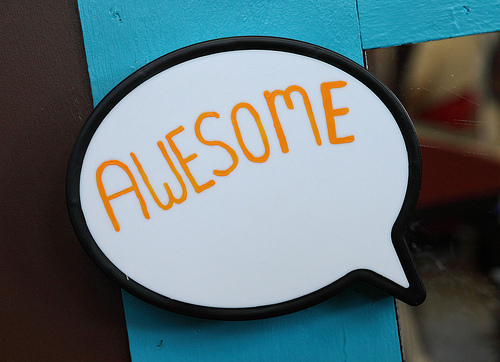 One type of content that tends to perform well is the opinion piece or editorial. If your brand has a certain idea to add to a conversation, an opinion piece can shake up things and create a splash of engagement. Everyone has one’s own opinions about the issues that matter, and you’re bound to gather a group of people who agree and share your content. You want to avoid several pitfalls with opinion pieces. For one, the tone needs to not come across as following a bandwagon, which will make little impact, but also not intentionally contrarian, which will come across as clickbait. To come up with relevant ideas, follow the news and the latest developments of your industry and find out what people are talking about. If you have a somewhat different take on matters, go ahead and express it as completely and professionally as you can. Remember to be authentic and give your actual opinion, not what you think will get attention or approval. People can sense that level of phoniness, especially if they compare it to your other content and social media posts. In general, live video is dominating online traffic more and more with each year, and it should be a part of your content marketing campaign. However, live video, also called live streaming, is the act of holding a broadcast online, usually through Facebook Live or a dedicated streaming platform such as Twitch. By a small fraction, the majority of live video viewed is breaking news, but an increasing number of businesses and brands are finding ways of captivating their audience with live video. Live video is popular with younger demographics, generally millennials, who are willing to view broadcasts while on the go from their smartphones or tablets. Facebook Live is a great place to start since you can build an initial base of viewers from your page followers. Remember to keep the resolution high and connection strong, since 90 percent of people consider video quality the most important factor for Facebook Live broadcasts. Live video is one of the more ambitious types of content, and you should rehearse carefully and assign talent who can handle a live performance and any related complications. Start small with brief broadcasts that don’t ask too much of the attendant’s time, and always offer thanks and gifts for those who stay until the end. Data visualization is effective for customer education and establishing a brand’s authority. However, ordinary data visualizations are a little dry and too singular to deliver a message. Infographics, on the other hand, make use of multiple data visualizations, all organized together in a large, attractive visual that tells a story or explains an idea. The mix of hard facts and figures, appealing design, and visual storytelling makes infographics popular, and studies show the combination of text with illustrations is 323 percent more effective than plain text at giving instructions or explaining complex concepts. Despite the additional effort compared to items such as blog posts, an earnest attempt at infographic creation is likely to pay off. The visual nature of infographics makes them hot content to share on social media, and you can attract attention and website visits. You could try repurposing the assets used and add some voice work and audio to create a video infographic. Consider any type of infographic if you have complicated topics you’d like to teach potential customers about. People should find them more useful and engaging than an ordinary article. However, never skimp on design. Get professionals in the ideation, writing, and graphic design portions of the work. Bad infographics are particularly embarrassing and can spread around the web quickly. Instructional content such as guides and how-to pieces tap into the fundamental purpose of the internet: information. Helping someone figure out how to do something using a simple, step-by-step process is a great way of showing your expertise. It also makes people grateful to have found you online and eager to share the content with others. How-to content can take many forms, however, and you’ll need to gauge your audience preferences to decide what to make. For older or more serious, studious individuals, a detailed written guide may be best. For men or a younger audience specifically, video may be best, since millennials are the generation most interested in video, and men watch 40 percent more video content on average than women. Lastly, one of the best, most foolproof methods for how-to content are podcasts, and you can include the transcript for those who prefer to read your content. Keep in mind, however, that how-to content can backfire if it isn’t detailed enough. You may get visitors who are in urgent need of help and will be annoyed if you missed something. Do not create how-to content unless you are prepared to iterate upon it, releasing updates based on comments and suggestions. The updates can add up to a bit more work, but you’ll eventually have a guide that stands above guides of your competitors. Each of these four effective types of content taps into the growing trends of traffic and online engagement. However, you shouldn’t drop everything and try to make an opinionated how-to live infographic. Don’t try to do everything at once, but look at what your business is particularly suited for and what your audience seems to enjoy, based on past experience and competitors. Then pick one of these approaches and commit to being the best. With time, you’ll have increased your number of eager and supportive online followers.